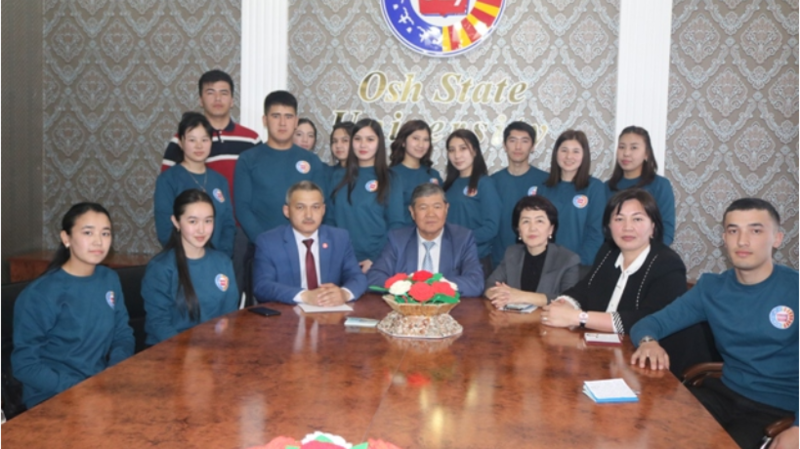 Among them there are 6 students of the Faculty of International Relations (Saidova Saida Sanjarovna, Ibragimova Leila Shakhrukhovna, Abdrasulova Elvira Abdrasulovna, Kasymova Shakhnoza Rustamovna, Akylbekova Uulay Akylbekovna, Nurbek uulu Amangeldi), 10 students of the Faculty of World Languages ​​and Cultures, and graduate studies, and graduate studies, as well as graduate studies, graduates of the department of international studies and education, graduates of the department of world languages ​​and cultural studies, and graduates of the same level of studies. Miraida, Akhmedzhanov Bakhodirjon Abdumanabovich, Mambetali Kyzy Ainura, Muratbek Kyzy Meerim, Tulanbaeva Zulfinaz, Ismanov Olohberdi). Together with the students, lecturers from the faculty of world languages ​​and cultures, associate professors Rakhat Sagyndykova and Kalmamatova Zamira went to give guest lectures and exchange experience.